My decision to write Entry Island stemmed from my interest in Scotland’s Highland Clearances. Like so many of my generation I did not become aware of the history of the Clearances until the years after I had left education. It was first drawn to my attention by the 1970s John McGrath play, The Cheviot, the Stag, and the Black Black Oil. Fuelled by the injustice of the Clearances, and the knowledge that no one had really tackled the subject in fiction, I decided to make this the focus of the book to follow the Lewis Trilogy. But I didn’t want to write a historical novel, and as a crime writer I obviously had to find a way of bringing the criminal, the contemporary, and the historical, all together in one story. 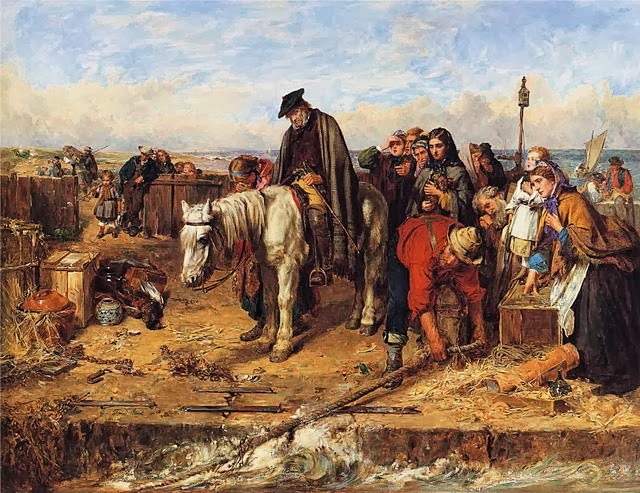 The Clearances was a phenomenon that took place in several waves, primarily in the Highlands and Islands of Scotland, for around 100 years in the 18th and 19th centuries. It followed on from the defeat of the Jacobites (who wanted to restore the Stewarts to the British throne) at Culloden in 1746. Most of those who fought in the Jacobite rebellion were Highland crofters and farmers called to arms by their clan chiefs. Since the clan chiefs in those days were both benefactor and landlord, the Highlanders, who were mostly Gaelic speakers, had no choice but to do as they were told. They were, essentially, canon fodder. But the British government, determined to dismantle the clan system and exact retribution, banned all things Highland--the playing of the bagpipes, the wearing of the kilt, the carrying of arms--and a lengthy and institutionalized persecution against Gaelic speakers was instigated (someone speaking Gaelic in a court of law was deemed not to have spoken). In the immediate aftermath of Culloden, a regiment comprising inmates from English prisons was set loose in the Highlands, slaughtering Gaelic speakers and their families. Many clan chiefs were dispossessed of their land and a new generation of landowners took over the vast Highland estates they’d vacated. The crofters, whose ancestors had worked the land for centuries, were seen as a burden. They made no money from the land, which provided subsistence only, and were unable to pay rent. So, with financial incentives from the government, this new breed of landowner systematically began to replace people with sheep, which were regarded as a more economically viable use of the land. Hundreds of thousands of people were forcibly removed from their homes, which were often set alight to prevent them returning. Many were forced to the coastal fringes where there were no settlements, and where without the requisite fishing talents or boats, they lived and died in dire poverty. Others were forced, sometimes in chains, aboard boats bound for the New World. They had no possessions and no money, and faced the most appalling conditions as human ballast aboard sailing ships designed to carry cargo, not people. By the mid- to late-19th century the British government had passed legislation laying down minimum conditions aboard the “slavers”--ships carrying slaves from Africa to America. But these conditions did not apply to the emigrants forced to sail the Atlantic Ocean during the Clearances. Many of them didn’t survive the voyages. For the contemporary element of Entry Island, I turned towards Canada where many Highlanders ended up. I had initially intended to use the provinces of Nova Scotia and Prince Edward Island as the centers of the contemporary crime story. But two coincidences changed my mind. Quite by chance I received an e-mail from a reader of the Lewis Trilogy. Her name was Marilyn Savage, and she was a Presbyterian minister in Canada who had grown up in the Scottish communities in the Eastern Townships of Quebec. After several exchanges by e-mail, it became clear to me that this is where my story should take place. But specifically, for my story, I required an island setting. Here the second coincidence came into play. My neighbor in France is a Québécois, who grew up in the Magdalen Islands in the Gulf of St. Lawrence. I had seen photographs of the islands and been struck by the similarity to the Hebrides, and when further research revealed the presence of large communities of “cleared” Hebrideans in the Canadian province, that became the natural setting for the book. final piece of the story into play. And I set off for Quebec to do my research. (Left) Peter May talks about his tale’s backdrop. After research sessions at the Sûreté de Police in Montreal, the Eastern Townships of Quebec (now known as the Cantons de l’est) were my next port of call. There, with Margaret Savage, her mother and daughters as my sherpas, I visited towns and villages established by Hebrideans cleared off their land. There is actually a town called Stornoway. Another called Tolsta--which is the name of the village on the Isle of Lewis from which Margaret Savage’s ancestors hailed. Another settlement describes itself as the “Hebridean township of Gould.” A tour of the cemeteries of these townships was a sobering and emotional experience. For there, buried in the ground thousands of miles from their homes, lay Macleods and Macdonalds and many others who’d been forced to leave their villages by unscrupulous landlords. People who had survived the voyage by sea and somehow endured to establish these communities. I went to the homes of some of their descents and met some very elderly ladies, in their late 80s and 90s, who still speak Gaelic. They spoke of their pride in their roots, and in the fortitude of their ancestors who had survived and thrived against all the odds. 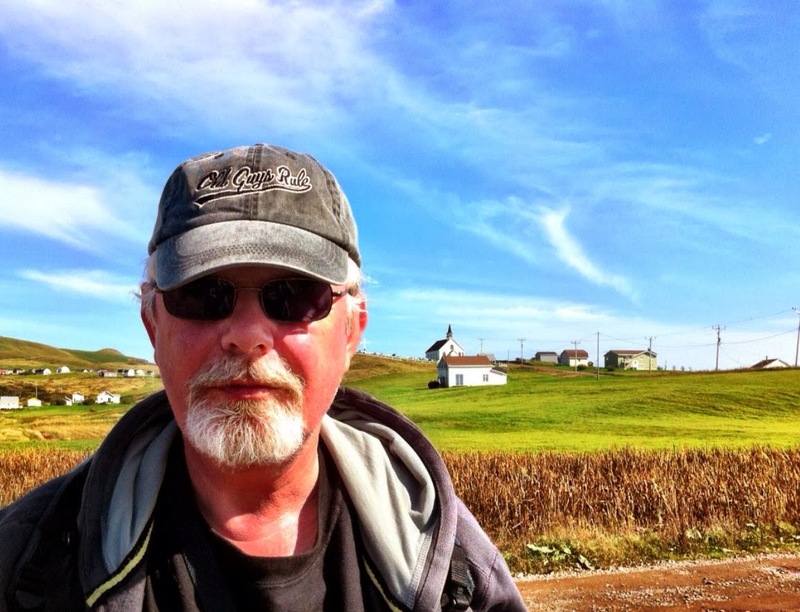 I flew out to the Magdalen Islands (les îles de la Madeleine), which are situated in the middle of the Gulf of St. Lawrence, and totally isolated from the North American mainland. Those islands, which comprise part of the province of Quebec, are French-speaking, and largely populated by ancestors of the Acadians forced out of Canada by the British. One tiny island, however, is resolutely English-speaking. It is called Entry Island, and many of its inhabitants are of Scots descent. In fact, most of the English speakers in the Magdalen islands (about 5 percent of the population) are descended from emigrants who were shipwrecked on their way to Quebec City--for the islands stand in the middle of the sea route to the mouth of the St. Lawrence River, and without a lighthouse were the cause of hundreds of shipwrecks over many years. My central character, Sime (pronounced Sheem) Mackenzie, is a homicide detective with the Sûreté in Montreal. His family, too, were of Hebridean descent, and he grew up in an English-speaking household in the Eastern Townships at a time when only French was spoken at school. He is, therefore, fluently bilingual--which is why he is chosen to travel with the French-speaking investigation team to Entry Island after a brutal murder is committed there. Coming tomorrow: A competition making signed copies of Peter May’s work available to Rap Sheet readers.